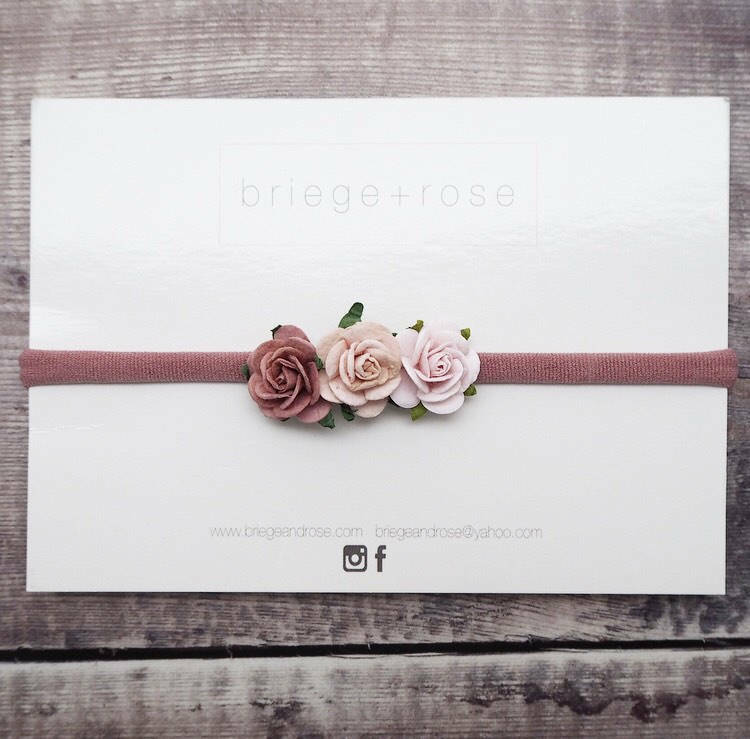 Three coordinated roses on a super soft nylon band - suitable from birth upwards, no need to size! This item is designed and made as a photo prop which will fit from newborn upwards. 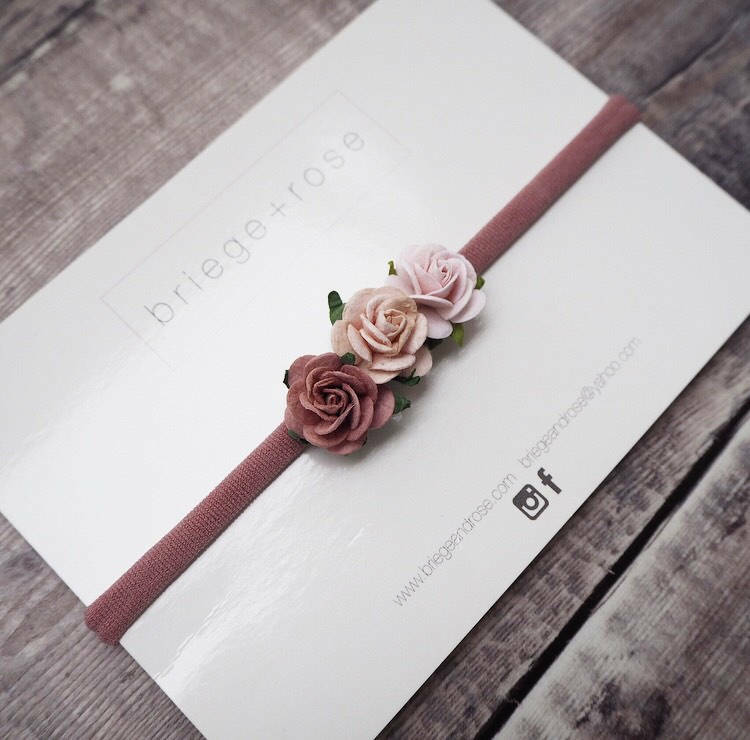 The individual roses are constructed from Mulberry paper however they are secured with a very small amount of wire (approx 1cm) in the centre. The flowers are attached to each other and then the band in such a way as to be aesthetically pleasing but please note that this is still a headband made from paper flowers and may be pulled apart if your child is able to do so. We do not recommend that this band is ever worn by a child who is not supervised at all times, nor when they are in any form of travel equipment or sleeping. Please take extra caution with your child and this headband as it does contain small pieces which could be swallowed. 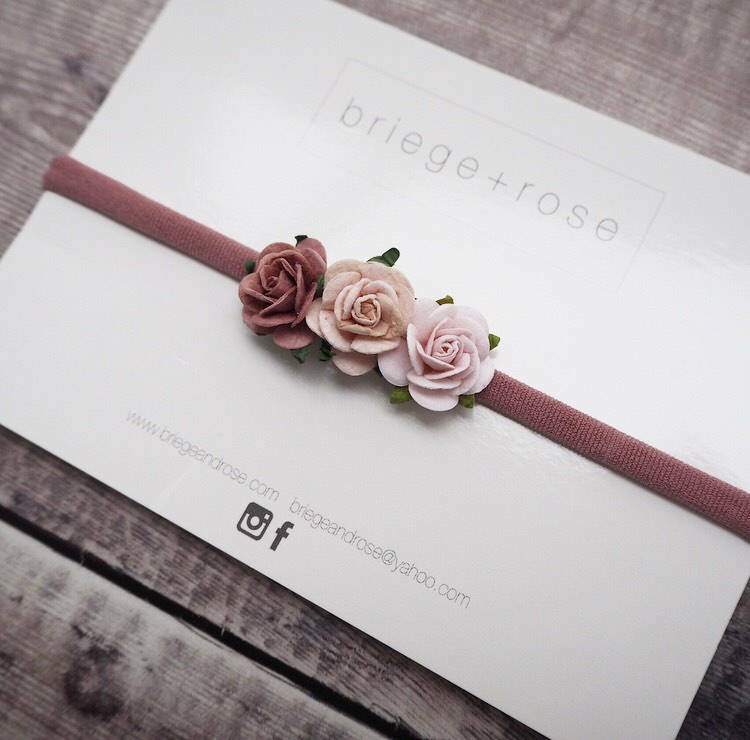 b r i e g e + r o s e hair accessories make excellent gifts for birthdays, new babies and special occasions. They're also the perfect hair accessory for weddings, holidays and parties. 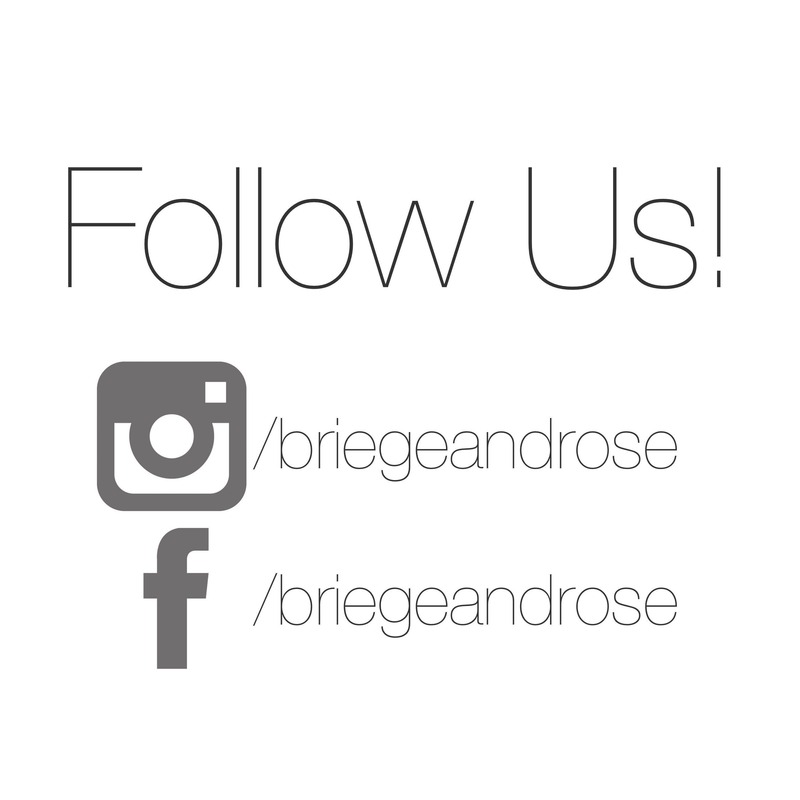 All of our products are 100% handmade. We design, cut and assemble all of our products from start to finish. Our products are made with that extra special care and attention that cannot be rushed, so we therefore state your orders will be shipped within 10-14 working days (mon-fri) plus shipping times. Turnaround is 10-14 working days. 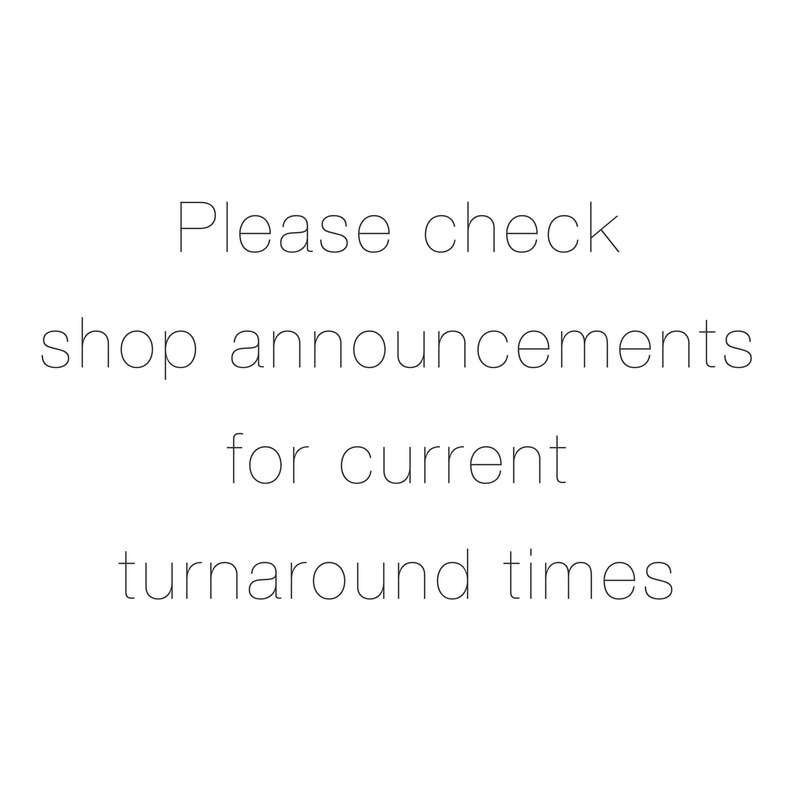 If you require your order sooner, please contact the shop before placing an order. 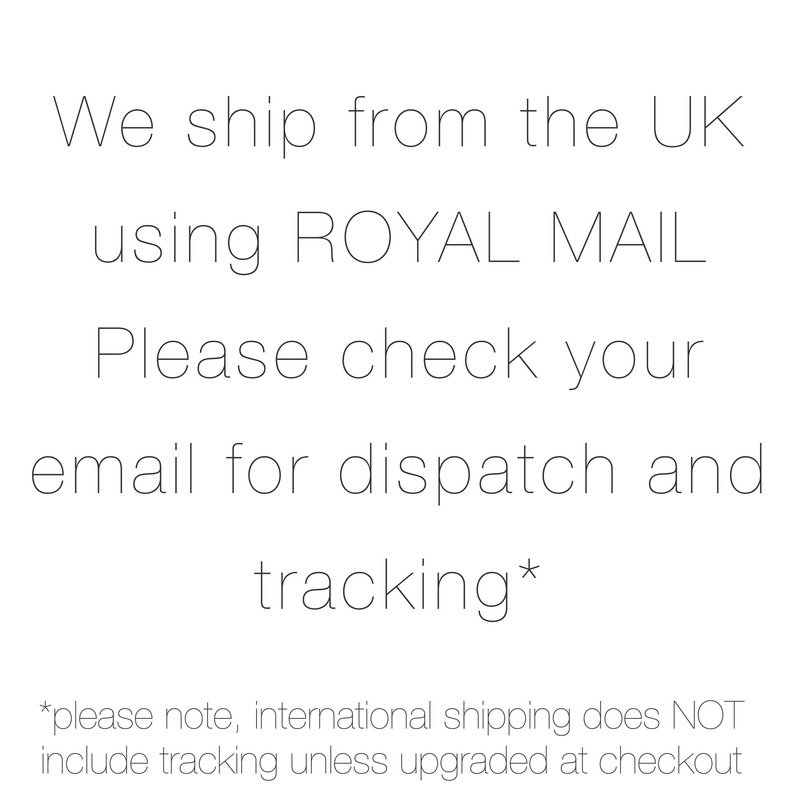 We post with Royal Mail and will provide you with a tracking number once your order is dispatched. Fabric may begin to fray with wear. Care for your bow by snipping frayed edges with sharp scissors. Hair accessories are not toys. Hair accessories may contain small parts which can be a choking hazard. Never leave a child unattended with hair accessories. Always remove before naps, bed time and travel in a car seat. Always check your hair accessories for any parts which may have become loose. 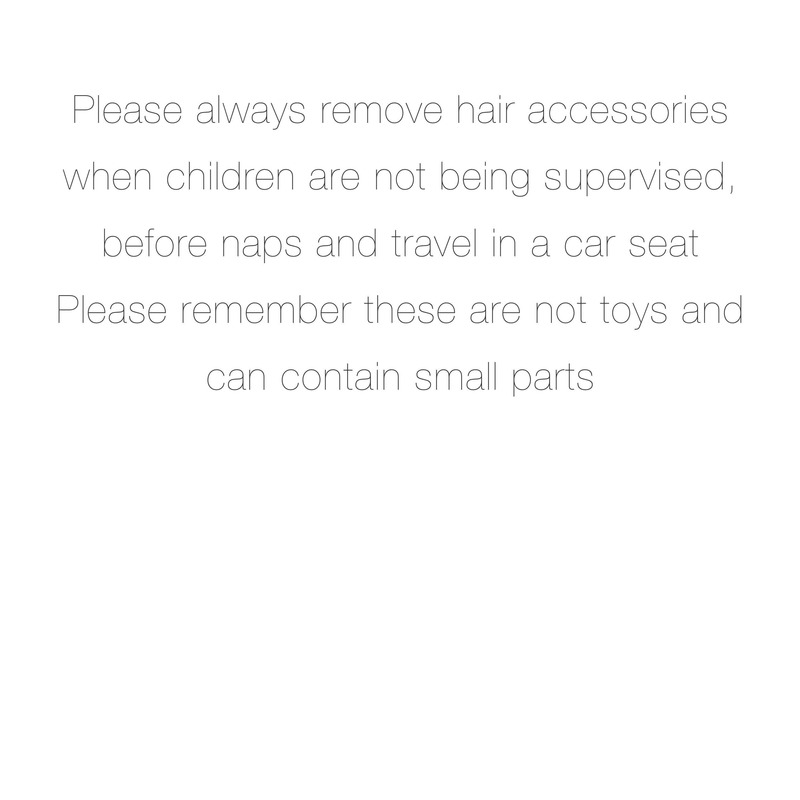 Do not allow a child to play with the hair accessory. Store away from a childs reach. Take care when attaching or removing hair clips not to pull on the hair. Do not use hair clips on very fine hair. Gorgeous headband that is completely adorable on. It fits my newborn beautifully and doesn't look uncomfortable for her to wear. Total schön und eine gute Qualität. Die Rosen sind ein wenig klein, aber perfekt und nicht zu groß für ein Babykopf.